Delegates are advised to fly into Dublin Airport. Dublin Airport Information – Tel + 353 (0) 1 814 1111 or visit the Dublin Airport website. Flight search engines such as Skyscanner can provide flight times and costs from your location. Irish Ferries and Stena Line both operate services into Dublin port. You can review the various options by clicking their name above. There are several transportation options available at Dublin Airport. Travel time from the airport to The Convention Centre Dublin (CCD) is about 30 minutes via taxi. Aircoach operates a service from Dublin Airport to Dublin City Centre. You can purchase tickets to and from Dublin Airport from €12 and pre-book online. Visit the Air Coach website for more information. Airlink is a Dublin bus service that navigates routes to many conference hotels. This transfer service has a stop point 50 m from CCD. Download the Airlink brochure for more information. Upon arrival to Dublin Airport, several official airport taxi services can be found directly outside the arrivals hall. The average current price from Dublin Airport to CCD is approximately €25. There are many official taxi services throughout Dublin. Please ensure you only travel in a registered taxi displaying their taxi license on the dashboard. Taxis are readily available all over the city with listed services in most tourism areas. Purchase a Leap Visitor Card online, delivered to your home before you travel. You may also purchase Leap Cards from many local agents. 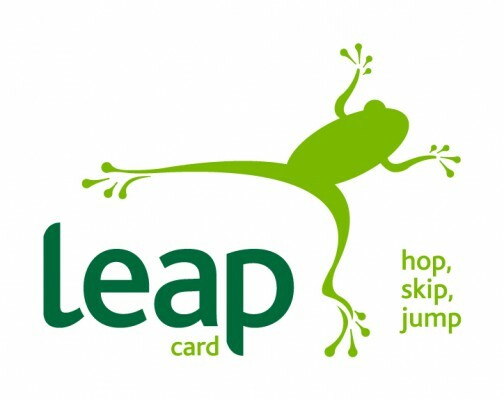 Visit the Leap Card website for more information. Dublin Bus offers a variance of routes throughout the city. Visit the Dublin Bus website for more information. Irish Rail operates services that travel from Heuston and Connolly stations to cities/towns throughout Ireland. DART is a rail service that operates through Dublin, traveling on the east coast and servicing the coastal towns north and south of Dublin. Visit the Irish Rail website for more information. Luas is the Dublin light rail service that operates two tram lines, the Red line and the Green line: The Red Line (East to West) and the Green Line (North to South). The Red Line is 20 km in length and has 32 Stops. It runs from Tallaght to The Point and from Saggart to Connolly. The Green Line is 16.5 km in length and has 22 Stops. It runs from Brides Glen to St. Stephen’s Green through Sandyford. Visit the Luas website for more information. Dublin is one of many European cities that offer a bike sharing scheme for its many visitors and residents. You will see throughout the city centre the dbs or Dublin bikes parked throughout the capital. For information on how to hire visit Dublin Bikes These are a fun way to explore Dublin.